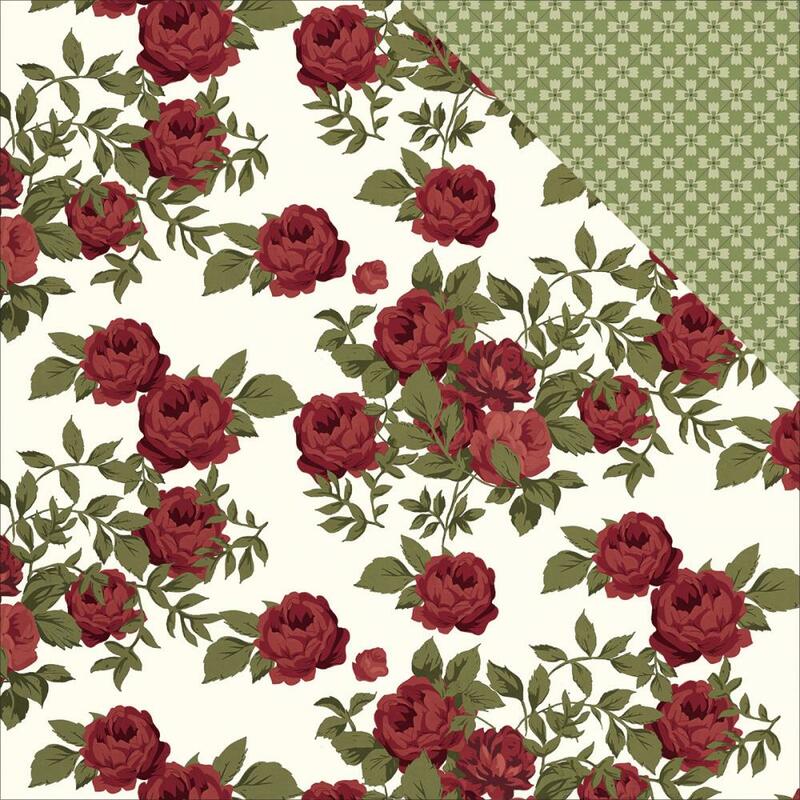 This 12x12 double sided paper has a gorgeous pattern of Red Roses on the frontside. The reverse side has a small quilted pattern. Part of the Vintage Blessing Collection by Simple Stories.